The protective benefits offered through the completion of a patent are vital for the creator of the subject matter, especially within today’s marketplace. When you file a patent for an invention, you are granted property rights by the United States Government via the United States Patent and Trademark Office (USPTO). While this process might seem overwhelming, working with Houston patent attorneys allows you to reap the benefits that exclude others from making, using, offering to sell, selling, or importing related subject matter into the United States that is within the scope of protection covered by your patent. Designing and negotiating licensing programs. There are three types of patents — utility, design, and plant. There are also two types of utility and plant patent applications — provisional and nonprovisional. Each year the USPTO receives approximately 350,000 patent applications. Most of these are for nonprovisional utility patents. 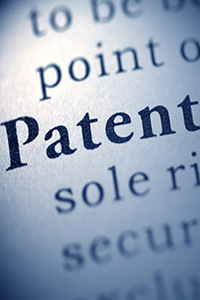 The USPTO determines whether a patent should be granted in a particular case. However, it is up to the patent holder to enforce his or her own rights if the USPTO does grant a patent. A patent cannot be obtained on a mere idea or suggestion. Patent applications are examined for both technical and legal merit. Prior to filing a patent application, a search of existing patents can be conducted at the USPTO Patent Search Room or at a Patent and Trademark Depository Library in your area. For additional information on patents, you may visit the USPTO.